Let's begin this post by saying that it's been a long time since I hauled online and that too from a new website. 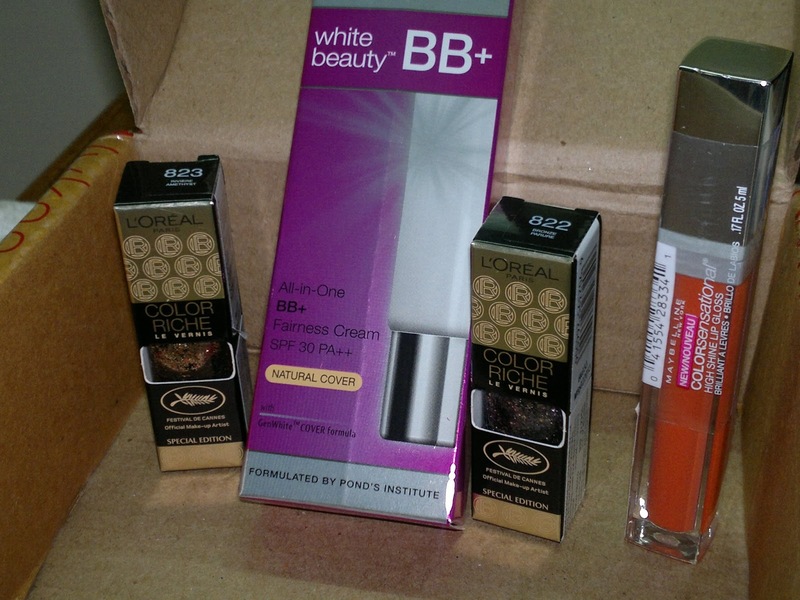 So, all this began when I wanted to buy the new Maybelline High Shine Lipglosses and the Color Riche Nail Paints from the Cannes Collection. The website in question is Nykaa and even though they offer very few discounts, I am super impressed with them, read on to know why? First up the a little about website, apart from super easy navigation, the site boasts of various product usage and makeup videos / tutorials. The website is cleanly organized with separate drop down menus for different product categories, such as makeup, hair, skin care etc.. The check out time is also relatively less on the website. Once you are registered, it takes less than one minute to check out. But, the best part about Nykaa is hands down the excellent customer service, which keeps one informed about the next steps. They are prompt in answering all of customer queries as well. The only other website, which has impressed me so much in terms of customer Service is "Jabong". 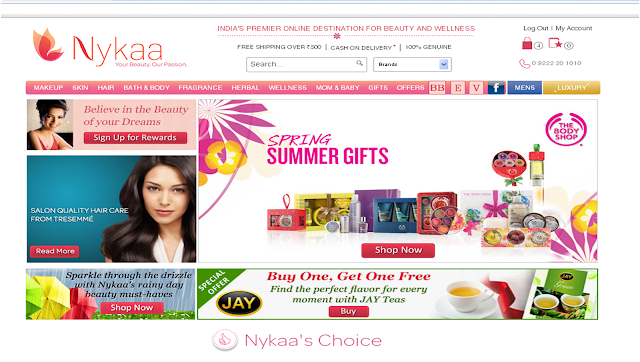 so yes Nykaa is pretty good experience for me! Anyways, I placed my order with Nykaa on Friday and missed their order confirmation call but received a mail impromptu, offering me various options to confirm the order. So, I called them to confirm my order and they promised delivery on Tuesday. I was surprised when the delivery actually happened on Tuesday without any delays or hassles. L'oreal Color Riche Le Vernis Nails Festival De Cannes (Special Edition), Maybelline Colorsensation High Shine Lipgloss in Captivating Coral, and Pond's BB Cream. 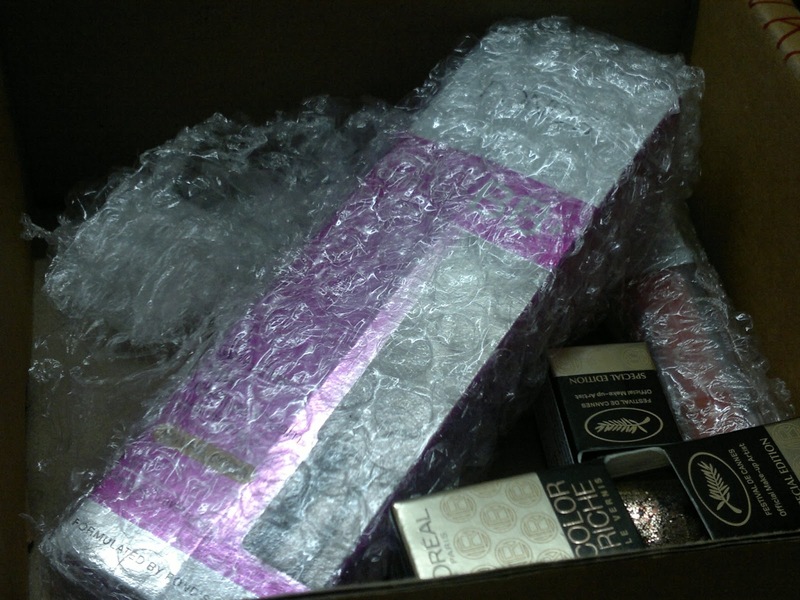 Hope you guys enjoyed my haul, have you shopped from Nykaa yet? ?